Besides knives, there are lots of great kitchen gadgets and tools that will help kid chefs succeed in the kitchen. Many of these items aren't specifically for kids, but can be used by young and the young-at-heart. Because, let's face it, kitchen gadgets are basically toys that help you make something yummy. Many young chefs find Y-shaped vegetable peelers easier to control, and this one from Opinel is a great choice. Its finger grip hole gives kids control, and its blade is sharp enough to work well. This peeler is also sold as part of a set that includes a matching knife. Here's another Y-shaped peeler, and the whole family can enjoy this one. The wide grip handle gives more control while peeling. Some kids prefer straight edge veggie peelers, and this one is specially made for little hands. So technically these are just regular old kids' craft scissors. Why are they listed here? Because they are a great tool to help kids cut herbs! 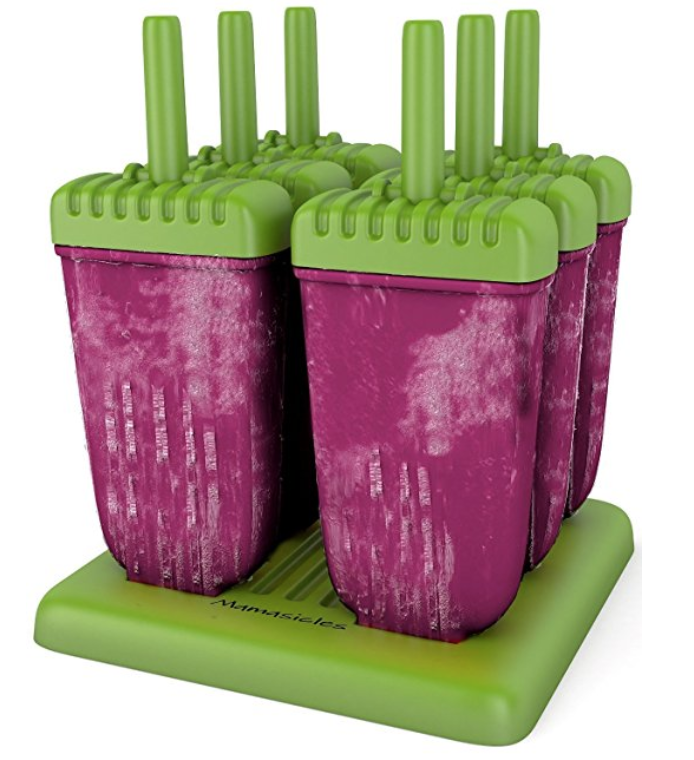 Just make sure you have a dedicated set that is ONLY used in the kitchen so you don't cross contaminate food and glue. This pair even has a handy label where you can write "KITCHEN" to avoid confusion. Most kid chefs don't yet have the knife skills to finely chop garlic, or the strength to smash a garlic clove with the skin on. This garlic press will do the trick so even little chefs can enjoy garlic! While not specifically for kids, this press is great (even if little kids still need grown-up muscle help to use it). Another great way to finely mince garlic- you rock this back and forth over the garlic and voila! Little kid hands sometimes aren't strong enough to squeeze lemons and limes. Give kid chefs a boost with this citrus press while also providing lots of entertainment. Little kids might need some grown-up muscle power to work this. Here's another tool for getting the juice out of lemons and limes- a citrus reamer. It's a compact tool that gets the job done- just twist into the fruit and the grooves (mostly) catch the seeds. Core and slice your apples all in one step! 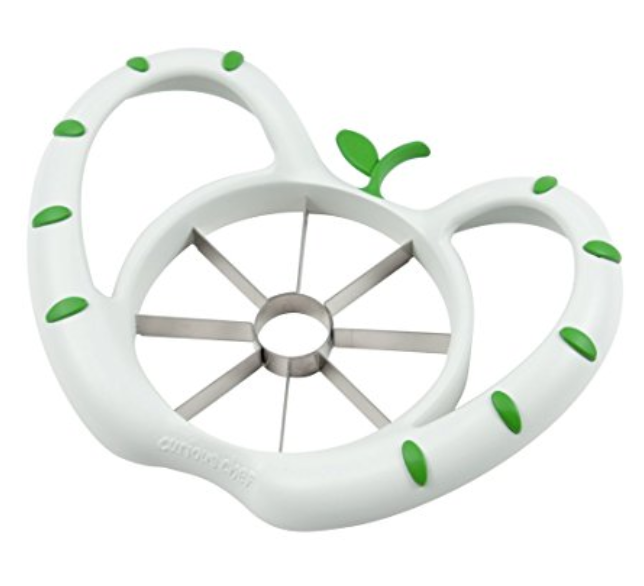 This apple slicer is designed specifically for kids, and has great handles to help kids keep control. It is even adorably shaped like an apple! What could be more fun than turning veggies into noodles? Nothing. A great way to make veggies more fun for kids to eat, and they can help with the process! When we test recipes with kids, they often say that their favorite step of the whole recipe is painting olive oil. Use these to paint olive oil onto a pan before cooking, or on top of baked goods to make a nice golden crust. Painting reminds kids of art class, so help them morph into an artistic mini chef! Let's face it- it's even fun for grown-ups to dry out salad greens, veggies, and herbs in a salad spinner. Let the littles get in on the fun. These are indispensable come summer time! Blend fruit, pour into the mold, put the top on, and stick in the freezer in the handy base. When it's frozen, quickly run the mold under warm water and the popsicle slides right out of the mold. We love these for making healthy desserts. It's fun for kids to grate things- just keep a close eye on them when they're at the end of the food they're grating and their fingers get close to the grates. 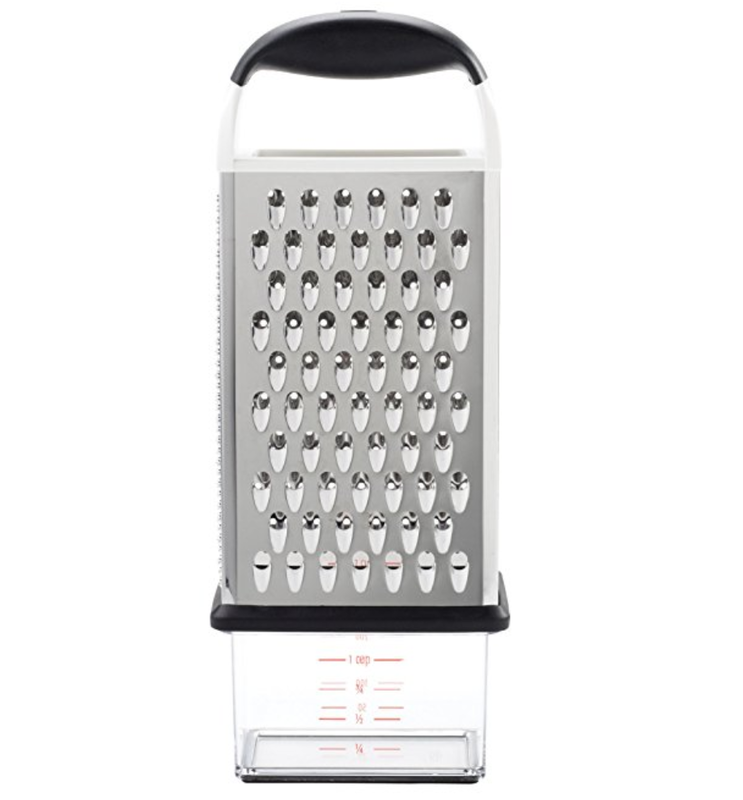 This grater has a handy collection bin for easy clean up. We love these cutting boards! They're color/icon coded to prevent food cross contamination, and have a grippy surface underneath to prevent the board from slipping. Dishwasher safe, too! Want to keep your kiddo from making a mess in the kitchen? 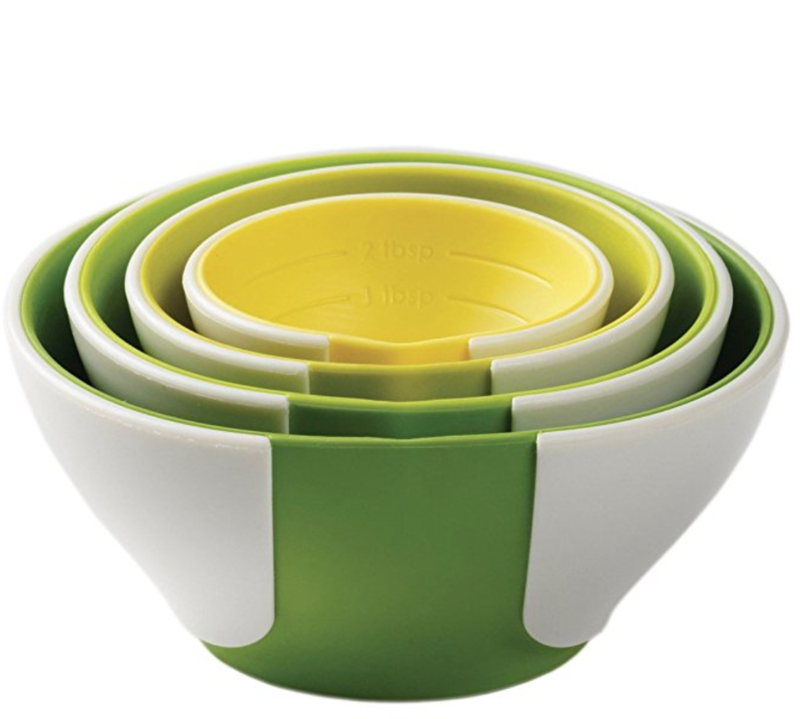 These mixing bowls have a handy handle as well as a non-slip coating on the bottom. This measuring cup is designed to make it super easy for kids to find the measurement they're looking for. Little hands might find these bowls easier to grasp, and the pinching function makes ingredients easier to pour. Measurements are marked inside, so these double as dry measuring cups as well!